Schrader Plumbing handles all aspects of commercial plumbing, and work with restaurants, malls, commercial buildings, gas stations and more. 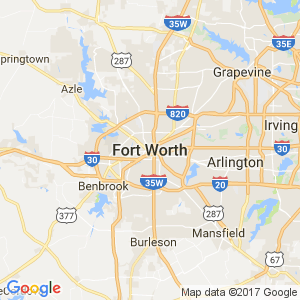 Our licensed commercial plumbers have years of knowledge working with commercial plumbing in the Ft Worth metroplex and are ready to take care of you. Our licensed commercial plumbers are familiar with the methods and regulations pertaining to the installation, repair, and maintenance of Commercial Gas Water Heaters. Call us today to learn more. These are the most commonly employed water heaters; however, they require the expertise and experience of a licensed plumber, familiar with commercial water heaters. 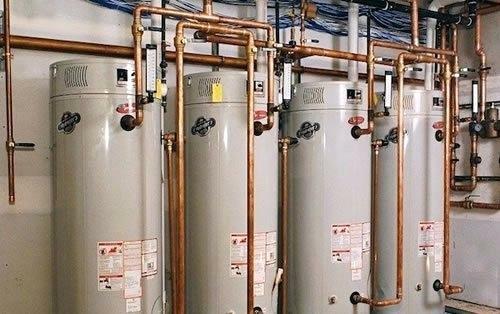 Schrader Plumbing’s technicians have the knowledge to safely work on commercial electric water heaters. Contact Schrader Plumbing for more details. A licensed commercial plumber familiar with commercial applications should be hired when dealing with boilers. 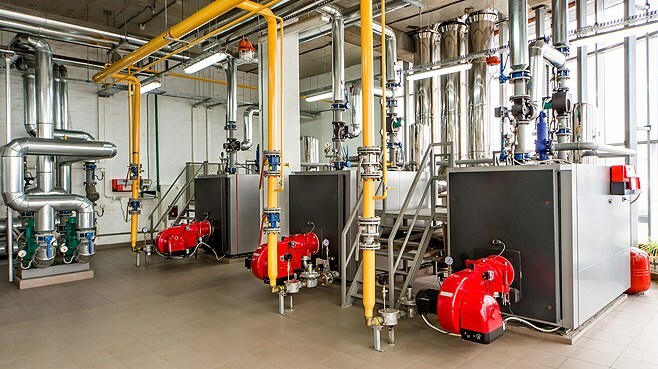 Consideration needs to be given to many aspects of the installation of new and replacement boilers. Among the most important are ventilation. Ventilation requirements depend on many factors. Different installations require different amounts of ventilation. It is essential that the correct ventilation be provided. The flue from a boiler and especially its termination are also important considerations. Many restrictions apply as to exactly where a flue can terminate. 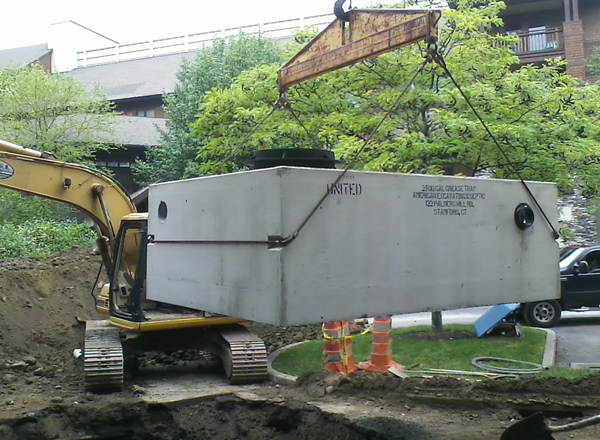 We offer installation and hydro jetting of commercial grease traps for restaurants. We can also use state-of-the-art inspection cameras to diagnose your grease trap problems. Call now to schedule an appointment. Schrader Plumbing realizes that your commercial business can quickly come to a halt when a drain stoppage occurs. If a clogged drain line emergency or backup has occurred, call the experts at Schrader Plumbing for a quick, effective and long-term solution. Our experienced commercial plumbers are available diagnose and to repair your clogged drain lines. Whatever your drain problem is, Schrader Plumbing can assess the problem and provide long-lasting solutions. Our thoroughly trained and licensed commercial plumbers know exactly what to do for each drain type that will best serve its commercial function. When sewer and drain lines are in proper condition, they are able to work consistently and smoothly. However, if they sometimes fail or clog up, it’s a sign that there may be a buildup of blockage in the pipes. Rather than letting blockages continue to happen, and bills to pile up, trip after trip, there’s a better way to handle your drain lines. Drain Jetting is an alternative to sewer and drain snake machines that results in clear, clean pipes in less time, less cost, and with longer lasting results. Rather than simply cutting away debris, Drain Jetting completely clears out your pipes, restoring them to an almost as good-as-new state. As a result, your drains will operate as smoothly and reliably as they can if they are not broken. To give you an idea of what might be lying in your sewer or drain lines, much of your blockages come from years of grease, hair, grease, soap residue, and more that causes your plumbing to continue to stop up. These are things that snake draining doesn’t address. Drain Jetting clears years of sludge and grime away to give you a plumbing system that will perform at its best for a long time. Drain Jetting uses highly-pressurized water to forcefully eject and break down the buildup in your pipes. Our specialized equipment uses a hose specifically built to withstand high pressures with an industrial-strength nozzle. The hose is then inserted into the cleanout, an opening at the downstream end of your plumbing system. Conventional pipe cleaning is used when there’s a complete blockage, clearing a small hole in order to restore function. What makes Drain Jetting a better option is that it does not just improve function—it completely restores performance. It prevents future problems while taking care of your current one. What if the Drain Line is Broken or Cracked? 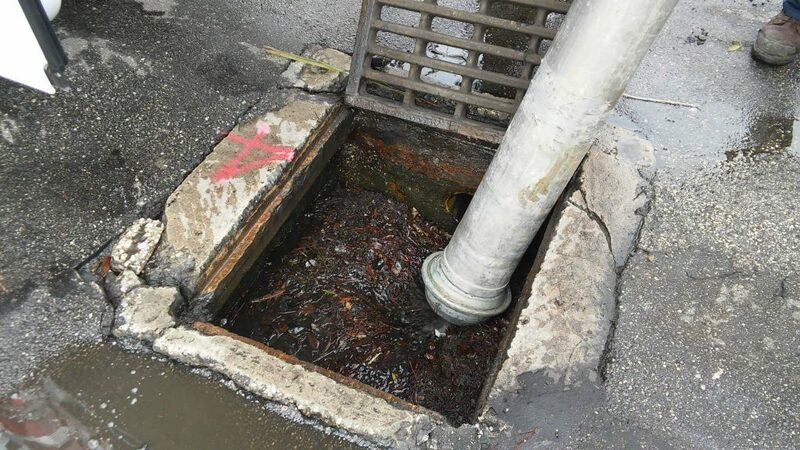 Drain Jetting cleans the pipe so well, we are able to run our state of the art video camera down the drain after jetting, and see if there are any breaks or compromises in the line that need to be repaired. Commercial toilets and urinals are used frequently and may be subject to a lot of abuse by their users. Modern toilets have evolved so much that they are not the simple bathroom fixture of days gone by. Businesses and properties can be affected greatly if toilets or urinals are not operating properly. Leaking water costs money, damages property and can cause slippery areas. Waste water is associated with potential health risks. Immediate repair is important to the safety of your employees and customers. From commercial toilet drain service to unclogging a toilet, Schrader Plumbing can do it all. Schrader Plumbing licensed and insured plumbers provide emergency toilet repair service and replacement services to get your toilets and/or urinals running correctly as soon as possible. Schrader Plumbing solves all kinds of problems, including clogged toilets and urinals, leaks and constantly running water, cracked tanks and bowls, toilets that don’t flush and water pressure issues. Our licensed professionals can also repair, replace and relocate the pipes associated with your commercial toilets. Our commercial plumbers make sure that the highest standards are met when servicing your commercial toilets and urinals. 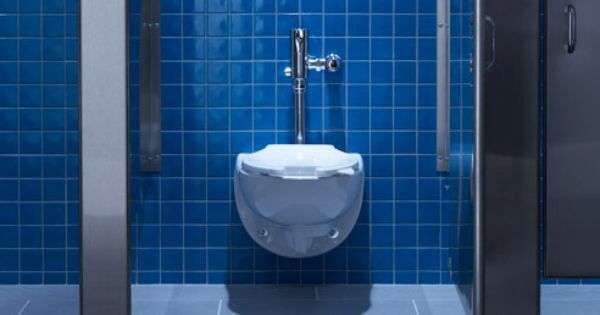 Schrader Plumbing can install any brand of toilet or urinal, and a plumbing professional will recommend a commercial toilet, urinal or bidet that will work best in your setting—restaurant, school or university, hospital, apartment complex, office building, stadium and more—thereby providing long-term dependability and value. Businesses of all types have faucets on the property. Restaurants, schools, hospitals, hotels, apartment complexes and other large businesses can require different types of commercial faucets. In many cases, these faucets may be used multiple times every day, providing hundreds or thousands of gallons of water each day. Leaking commercial faucets, mainly those that don’t turn on or off correctly, and faucets that fail to correctly control the water temperature can cause damage to your property and/or be dangerous to users. Schrader Plumbing’s commercial plumbing specialists will ensure that your faucets operate as intended. We use only quality parts and materials when rebuilding, replacing or installing a faucet.